Welcome to Ocean Home Health Supply. We are a full service DME company offering complex rehab and positioning systems, respiratory therapy, bariatric equipment, support surfaces, as well as standard Home Medical Equipment. We work with our referral sources to provide a quick, comprehensive and efficient process for delivery to the patient’s home or to the discharging facility. When possible, we coordinate benefits with the patient’s insurance company. When the patient is paying out-of-pocket, we will work with the patient to offer fair pricing and a payment plan that meets the patient’s specific needs. Ocean Home Health Supply’s service area includes the entire state of New Jersey as well as the Pennsylvania counties of Bucks, Philadelphia, Montgomery, Berks, Delaware, and Chester. We offer 24 hour, 7 day emergency service for your convenience. 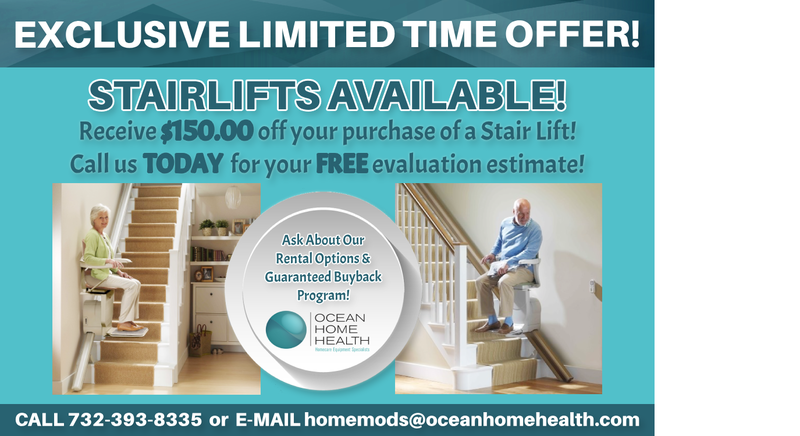 Copyright © 2019 OCEAN HOME HEALTH. All Rights Reserved.